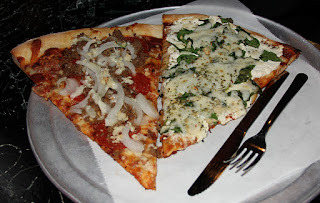 A recent business trip to Atlanta landed me at Little Five Points Pizza, a place oozing with a just-order-your-food-and-sit-down machismo yet surprisingly tasty provisions. Let me get this out of the way right out front: This restaurant is not for the faint-hearted. 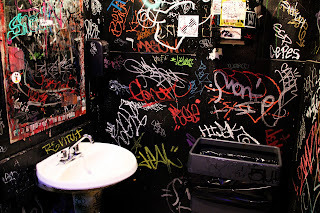 If you can handle 1980s heavy metal music wafting from overhead, tattooed and body-pierced staffers (with snarls, no less) and graffiti-laden restrooms with no soap to be found, then everything will be fine. If not, go elsewhere. Either way, this place will still be pushing out quality slices of pie for its diverse customer base. Pizza toppings include Italian sausage, meatballs, fresh garlic, sun-dried tomatoes, peperoni, broccoli and more. It’s best to go with Sicilian style, although a regular slice works nicely if suffused with the abovementioned ingredients. White pizza scores high marks (add spinach to make it just right). Calzones appear to be a legit alternative to pizza. 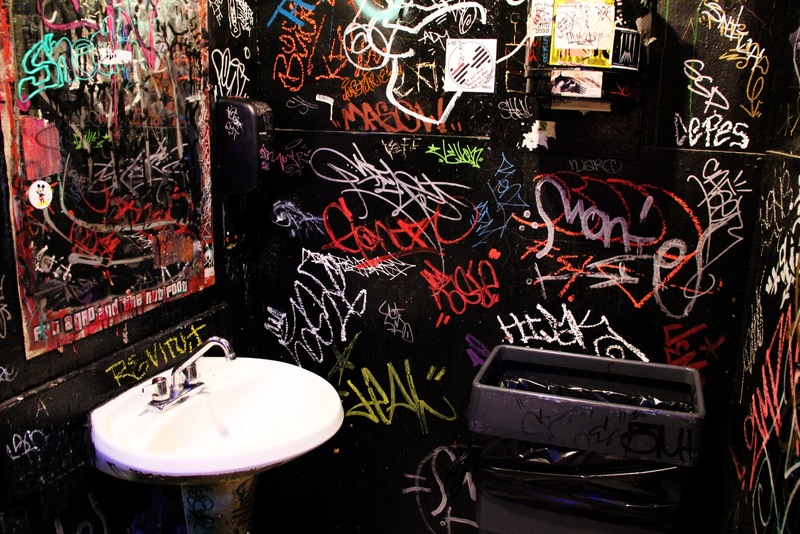 When it comes to décor, think dive bar meets big-city pizza joint. A substantial winged neon eyeball is a signature wall icon near the back of the store. Large bags of high-gluten flour are piled on the floor in plain view. Probably not the best place for a first date, but this venue would work just fine for a guy’s night out. Even with the idea evidently as a females enjoy My spouse and i might not always be way too omega replica sale shocked to view dude's donning the idea using some aspects of the globe. Over the last number of years our awareness along with admiration pertaining to Cartier features rolex replica uk genuinely produced. Confident, a great deal of his or her designer watches are generally produced in higher quantities, nonetheless they have a very penchant forever, sustained design and style. Certainly We are not only a tag heuer replica sale supporter involving a bunch of their designer watches, nevertheless minor escapes off their create without having to be fantastic pertaining to at the least a lot of people. Very good design and style - when i are mastering a lot more - is just not uncomplicated. Planning a thing to take a look fake hublot sale spectacular along with nice pertaining to 5 units is basically certainly not that will challenging. Making a new design and style that will seems to be very good each time you look at it, for many years, fake rado sale isn't really simple. Within this office, Cartier features became popular for years. My spouse and i come across me thinking precisely what his or her magic formula can be. Strangely enough ample, designer watches using "good" patterns never influence anyone without delay. You could possibly check out these people a lttle bit ambiguously to start with.